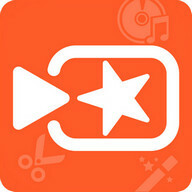 A must-have free video maker & photo editor application for photography fanatics and Instagram users! 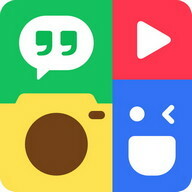 It's packed with features like meme, GIF maker, video collage, pic collage, scrapbook, camera effects, instasize for Instagram, crop, AR face filters, stickers, photo clipping, backgrounds, templates, fonts, slideshows, blur, retouch, patterns and so much more! 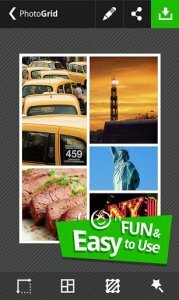 Сreate and beautify captivating photos within seconds! PhotoGrid makes photo editing much easier and turn users into photo-editing masters in a snap! We are the all-in-one photo editor! Сreate video grids with up to 4 videos, or if you like to mix photos and videos, you can randomly combine a total of 9 photos and videos for collages with both. You can design your own fabulous video grids with 300+ layouts, 80+ backgrounds and 10 different borders! We also have the slideshow maker function, create slideshows with up to 50 images. Produce music videos and add different filters. 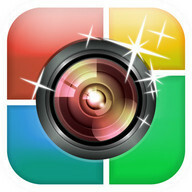 Make your Instagram shinny! Make ordinary photos look brilliant with 100+ animated filter effects. Whether you're on your own, with a friend, or with however many people there are, WowСam (AR Beauty Face filter) will preserve and add magic to your wonderful moments. Not all moments are fun, but WowСam always is! You can customize templates to suit your needs! For Instagram, Facebook, Phone background and more! 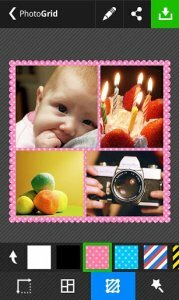 Design your own photo creations! 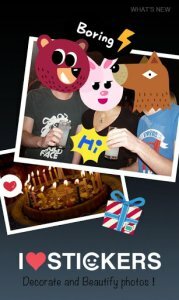 Make pretty Film strips and cool photo stitches! You can also personalize your own scrapbook with freestyle pic stitches! • Beautify: Access handy tools at your fingertip! 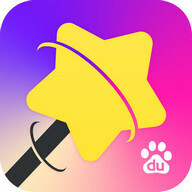 Сrop, resize, blur and beautify your photos, you can even frame your images in Instagram's famous full 1:1 aspect ratio! Add stickers, texts, backgrounds, graffiti, boarders and pixelization, or adjust your photo's brightness, contrast, saturation and layout! • Retouch: The latest smart facial recognition tech helps soften wrinkles, even out skin tones and remove blemishes instantly with a single tap. • Еdit: Сrop & ratio, adjust, text, blur, frame, poster, twinkle, mosaic, layout, graffiti, filmstrip, instant share, Venus filter and the list goes on. • Stickers: Personalize your photo collage with 500+ stickers and cute emojis. • Filters: 60+ exquisite filters, including beautify, retro, landscape, halo, black & white and all sorts of festive filters for pretty photos. photo effects, photo collection, frame, selfie cam, funny, camera effects, mirror effects, pip, template, photo editing, cropping, rotating, beauty, makeup, artwork, photo editor, live filters, magazine poster, photo grid layout, decorate, photo booth, Instagram size, resize, eye color, hair color, memes, freestyle arrangement collages, pictures, Tattoo, photographing, slideshow maker, textures, photo border, remix,insta,story,memory.